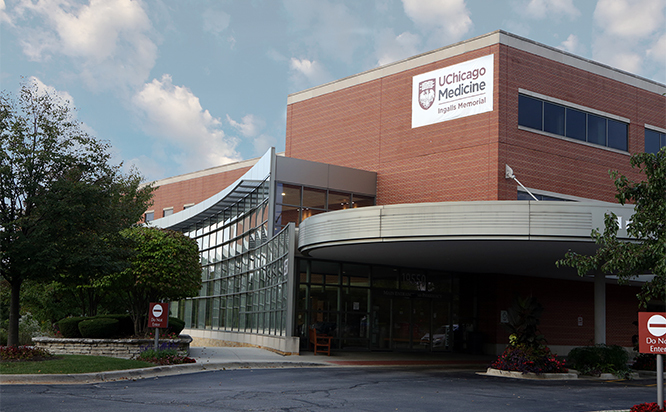 UChicago Medicine at Ingalls - Flossmoor offers quick and convenient specialty and primary care for the whole family. Our teams care for children, teens, adults and senior citizens who need annual wellness exams, school physicals, immunizations, injury treatment or help managing chronic illnesses, including diabetes. We also provide on-site lab testing, X-rays, mammography, rehabilitation services, and echo and stress testing. Our 24-hour walk-in urgent care center addresses the need for fast, efficient, quality lower-level emergency care in the South Suburbs — seven days a week.